We fell in love with Dot and Army when we first launched their seersucker napkins in 2013—but we could have never imagined how much they would grow and become such a huge part of our Shop. Jennifer Zamudio starts her day the same way many business owners do—with a cup of coffee. At 5 A.M., before her two young boys and husband wake up, she slips into the kitchen to brew herself a cup and answer emails. Pretty soon, the orders will start coming in and she'll have to head into her studio to start pulling fabrics and cutting out napkins. It's all in a day's work when you run textile company. 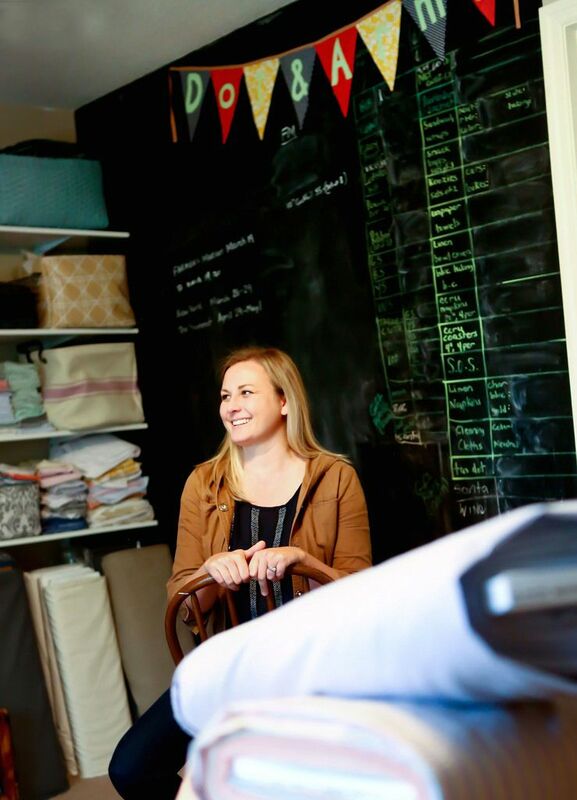 Before moving her business, Dot and Army, to a commercial space just a few weeks ago, the fabric took over Jennifer's entire house. 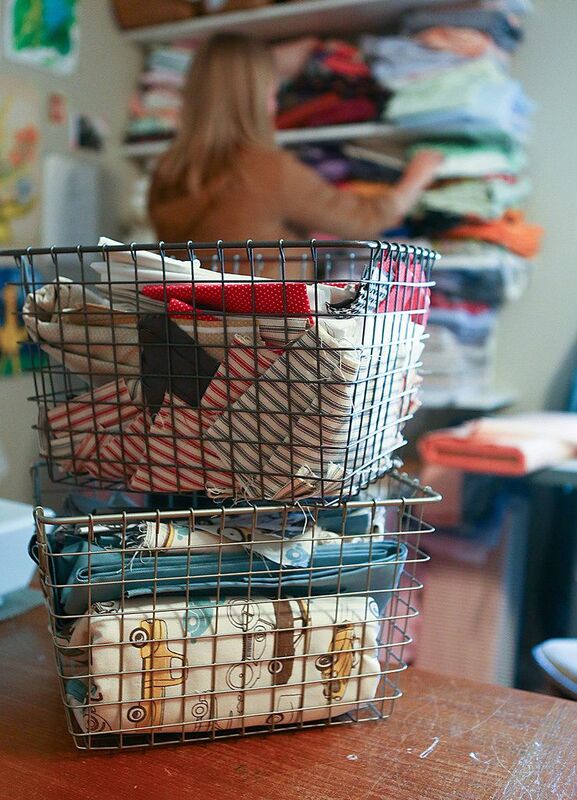 When I spoke with her over the phone, she laughed before recalling what the company looked like when she started it five years ago, "We would iron in our dining room, cut in our guest room, and fill all of the closets with bolts of fabric." Two of Jennifer's favorite products include her Unpaper Towels and her Reuseable Pot Scrubbers. At the time, Jennifer lived with her family in San Diego and worked as a teacher. She started Dot and Army after realizing how much her friends enjoyed the colorful napkins she made as gifts, and, before long, what started as a hobby grew into a booth at her local farmers market and then an Etsy shop. When her family decided to move to Brunswick, Georgia two years later, Jennifer made the leap and started pursuing her business full-time. One evening, Jennifer took a break from sewing to look online for a cocktail recipe and stumbled across one on Food52. She was immediately drawn to the photographs, but that wasn't the only thing she noticed. Jennifer remembers, "At the bottom of the recipe page, there was a notification from the Shop that said, 'If you know any artisans, email us!' so I emailed, and Christina [the head of our Shop team] called me 45 minutes later." A few months later, in July 2013, our Shop launched Dot and Army's seersucker napkins in the Rooftop Party Collection (our first collection ever!). At the time, Christina remembers that there were just two people on the Shop team (which has now tripled in size) and that we had just moved into Food52's first office—the napkins were one of the Shop's first big successes. As Christina's team grew, she reached out to Jennifer with ideas for additional products. The Denim Sandwich Wraps emerged out of Amanda's frustration over wasting plastic wrap to pack sandwiches. Jennifer remembers, "After the seersucker napkins, Amanda Hesser had the sandwich wrap idea, which became our first collaboration. 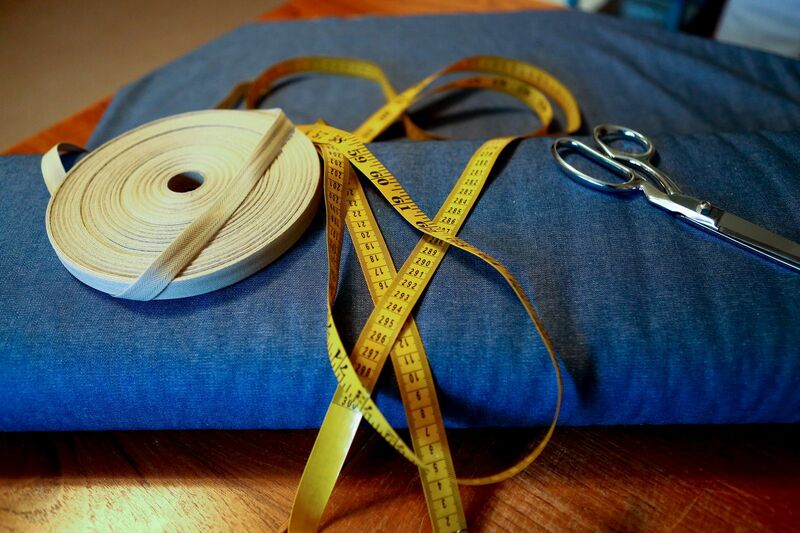 It was so exciting to go through all of the details of making it: the fabric choices, the length of the tabs." More: Read Amanda's side of the sandwich wrap story. Before long, Jennifer had worked with Food52 on several collaborations including bowl covers, reuseable pot scrubbers, and beer koozies. As Christina explains, "Not only is she excited to try anything, but she has so many creative ideas about using fabrics for things you wouldn't normally associate with fabric, like Brillo pads and zipper bags." 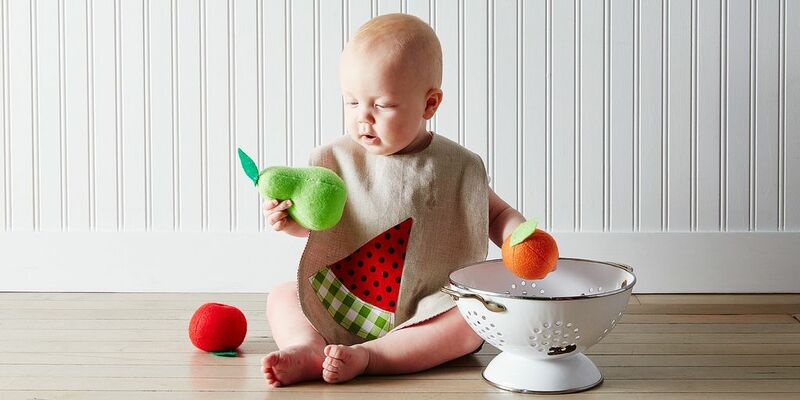 Dot and Army's baby bibs, which launch today exclusively for Food52, are the perfect union between adorable and functional. So when Jennifer had some scraps lying around a few months ago, she started cutting them into different color combinations and realized that they'd make beautiful bibs. The three summer-themed linen bibs she created exclusively for Food52 launch today are available decorated with a watermelon slice, a radish, an avocado, or as a set of three. 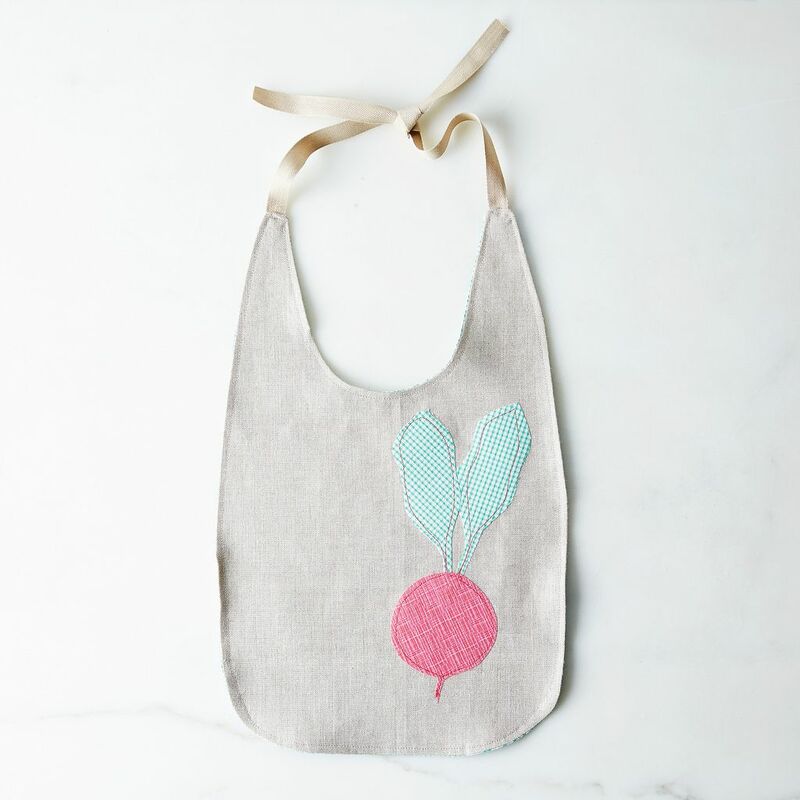 She says, "There are always simple bibs but it’s fun to have a cuter bib when you go out to a restaurant—and then it can become a keepsake for the child or something to pass down." She says that the weight of the linen fabric makes the bibs feel really rich, adding, "When you have something that’s well-made by someone who put their time into the product, you’re going to take better care of it. It’s going to last you a long time." 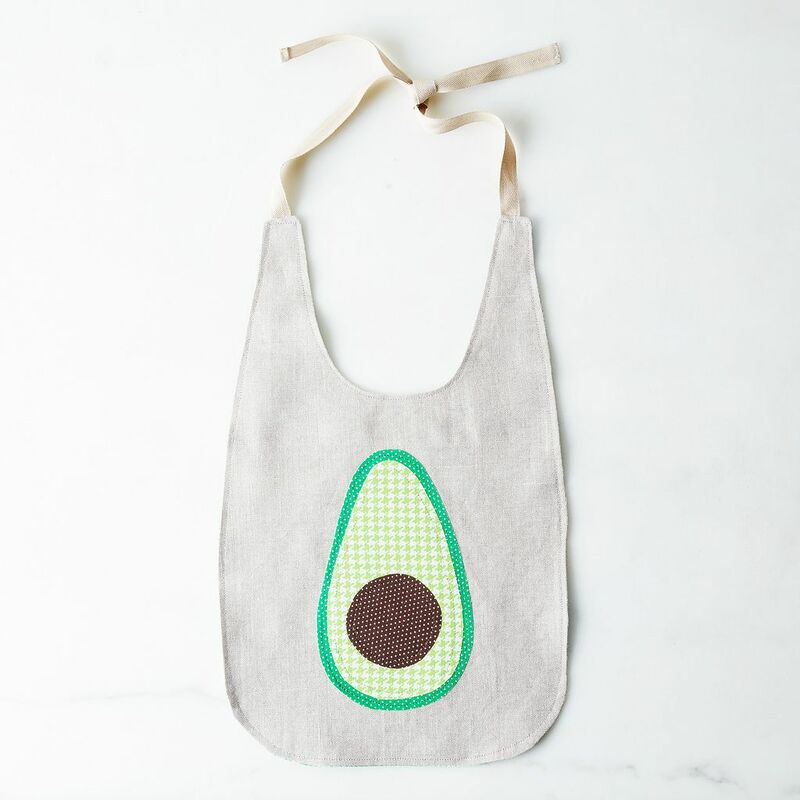 The new bibs come in watermelon, avocado, and radish designs. Right now Jennifer's own boys, at 6 and 9, are past the bib-wearing age, but like most of Jennifer's family, they've started to take an interest in sewing. She explains that the company really is a family affair, "Everything from Dot and Army is made by someone I know—my husband does most of the sewing of the napkins, I just taught my dad to sew, and my cousin and mother-in-law help crochet the pot scrubbers." It's no wonder that Jennifer chose to name her company after two beloved family members: her maternal grandparents, Dot and Army (in fact, it was her grandmother, Dot, who first taught her how to sew!). When we imagine what Jennifer was raising a glass to when she searched for that cocktail recipe, it's easy to think of a few things—her blossoming business, her beautiful family, or the motto she lives by: "Work hard and be nice to people." We'll cheers to that. CONGRATULATIONS JENNIFER! WE are all so proud of you!!! Is that baby in the photo Merrill's new boy? My MIL LOVED her seersucker dinner napkins I bought her for x-mas. Just want to say that I recently purchased the blue striped linen bowl covers and I am loving them! I bought them with the intention of using them to cover bowls holding bread dough, which I am using them for, but I am using them for so many other things too: to cover bowls of fruit being attacked by fruit flies, to cover bowls that don't have lids that need to be stored in fridge, etc. Love that I can wash them and reuse. Love love love.